Coils are forty-six feet long! Color after color, closeup or stage! An endless stream of magical colors appear at your fingertips. Start the coil from your mouth, a card box, pocket, or an "empty" hand. 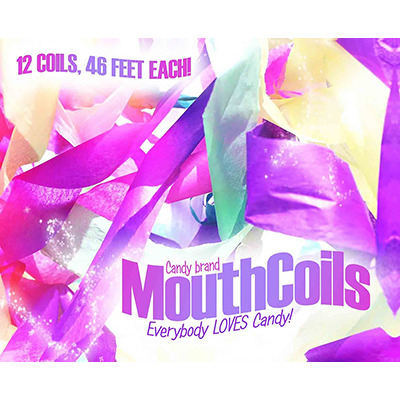 Candy brand Mouth Coils illuminate your magic with vivid color, every time!